One of the best ways to unwind and relieve the stresses and tensions of everyday life is with a calming Swedish or aromatherapy massage, or an Indian head massage. We also offer hot stone massage treatments, for a deeper and more intense massage experience. Whatever massage you prefer, apart from feeling fantastic, you will benefit from improved circulation, increased energy, enhanced mental alertness and a general sense of wellbeing. Another body treatment we offer is microdermabrasion, to remove dead skin. Swedish massage uses firm but gentle pressure, with massage oils to facilitate smooth, gliding strokes. You can choose the pressure you prefer, from light to firm, and include some deeper work on specific areas of muscle tension, if you wish. Aromatherapy massage adds concentrated essential oil to the massage lotion. Each essential oil has different healing properties, ranging from calming to energizing. One or more essential oils are used, based on what you need from your massage. The subtle aroma of the essential oils fills the air around you during the massage. All the stress-relieving benefits of aromatherapy concentrated on the back, neck and shoulders, where tension is greatest. Experience the ultimate muscle-relaxing deep massage, in which smooth, water-heated volcanic basalt stones coated in fragrant oil are carefully applied to key points on the body. A hot stone massage is the perfect way to relax, release stored tension, boost your circulation and recharge your energy levels. This direct heat of the stones relaxes your muscles, so that the massage is more effective and intense. This soothing massage experience is especially good for relieving stress, tension and fatigue. This is an age old treatment that is not only relaxing and rejuvenating but is beneficial for a variety of ear nose and throat conditions. 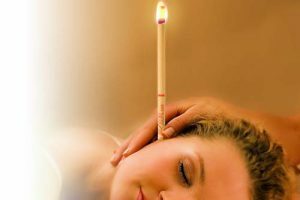 If you suffer from sinusitis, tinnitus, hay-fever, catarrh, headaches, irritability & stress, excessive ear wax or ear pressure due to flying this treatment is perfect to relieve these problems and balance your sinuses. 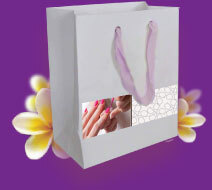 A short facial massage completes the treatment and optimises the results. If you are currently seeking medical advice, have any implants or recent injury/surgery to your ears please advise your therapist when booking as certain conditions may prevent treatment.